Hi-Hats D is Erica Synths take on classical digital hi-hats. Instead of using an integrated circuit DAC chip Hi-Hats D are using 6-bit discrete DAC for that unmistakable crunchy sound. For amplitude shaping samples are passed trough AS3330 based VCA and are controlled with an analog envelope generator for versatile and snappy sound. Extra feature is Open Hi-Hat looping – when it’s on, a certain part of the sample is looped while the envelope decay is on, thus creating distinct, delay-like effect. Erica Synths Drum Sequencer has connectors for internal Trigger and Accent connections to Erica synths Drum modules. The connections are made via six wire ribbon cables with 2x3 connectors (similar to Eurorack PSU connectors), and you can save some patch cables if you have a lot of Erica Synths Drum modules. Internal connections will work only with Erica Synths modules and no other manufacturer module will support this functionality. 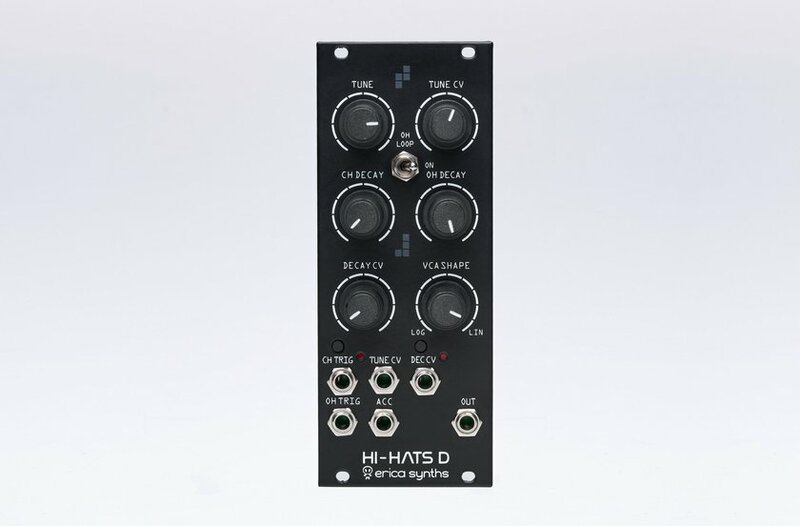 If you have Erica Synths Drum Sequencer and other Erica Synths Drum modules and want to use internal connections, select “Hi-Hats D with internal connectors” option. 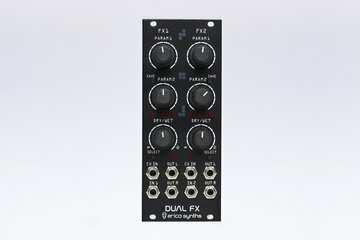 If you do not want to use internal connections, select cheaper “Hi-Hats D without internal connectors” option. The Drum Sequencer is easy to use, classical X0X style live performance oriented sequencer module that provides the ultimate control over your system. 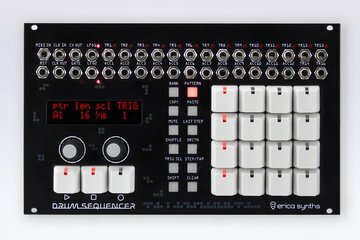 Erica Synths Drum Sequencer might be the last modular sequencer for drums and basslines you will ever have to buy! Erica Synths Techno System is the ultimate tool for rhythm based music production, live performances and sound design. 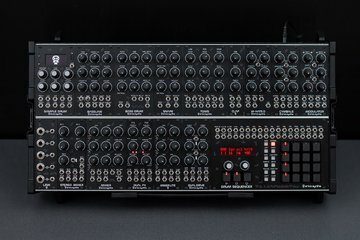 The drum modules are internally patched to the sequencer, so they receive trigger and accent signals even without patching relevant patch cables therefore allowing you to fully focus on the audio signal patching. With a bit of imagination you’ll find that it’s not limited to specific music genres — it just depends on your creativity in patching and settings of modules. The potential is unlimited!